Snowdonia First Aid is run by husband and wife team, Steve and Helen Howe. We deliver most of the courses whether it be Single Pitch Training, First Aid courses, Winter skills or Mountain Leader. If we employ other staff, we only use the best. Steve has been an active mountaineer since the 1980s, his love for the outdoors includes walking, climbing, backpacking and canoeing. Steve has climbed and canoed throughout the world and was a well-known climber in the 1980s pioneering several routes in North Wales and the Lake District. He is the Regional Director of Rescue Emergency Care for Wales. Steve was a Mountain Instructor at Plas y Brenin, the National Mountain Centre from 1997 to 2014 having years of experience to draw on, and is one of the country's most experienced ML instructors and assessors. 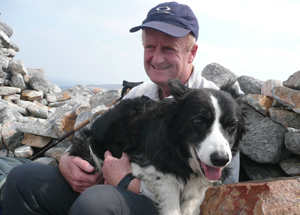 In more recent years he has been involved in Mountain Rescue having been a member or Ogwen Valley MRT, SARDA Wales and now Llanberis Mountain Rescue Team. Steve is an Advanced First Aider for the Llanberis team. Helen has been into the outdoors since a young age from when her family used to climb mountains in the Lake District and Scotland. At university she was Vice-President for the YHA (mountain walking club). Helen has been involved in Mountain Rescue since 1991, initially joining Teesdale Search and Rescue Team as a student, she was a member of Rossendale and Pendle Mountain Rescue team when returning to her native Lancashire and SARDA England for fifteen years before moving to North Wales. Helen is one of the most experienced and qualified Mountain Rescue Dog Handlers in the UK having qualified three Mountain Rescue Search dogs. She has just completed three years as Chairman of SARDA Wales. She is also a member of Llanberis Mountain Rescue Team, the UK's busiest Mountain Rescue team and is one of the team's Advanced First Aiders. She also teaches on the Monutain Rescue England and Wales Casualty Care courses. Helen trained as a geography teacher and taught for many years at Clitheroe Grammar School. 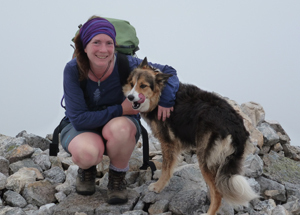 She holds the Winter Mountain Leader Award and is an International Mountain Leader. She has many years experience working with young people in the outdoors both as work and in a voluntary capacity for the Church Youth Fellowship Association. She worked for the Field Studies Council in Snowdonia for six years. During this time she has lead many field trips for school groups, as well as to Iceland for NST.